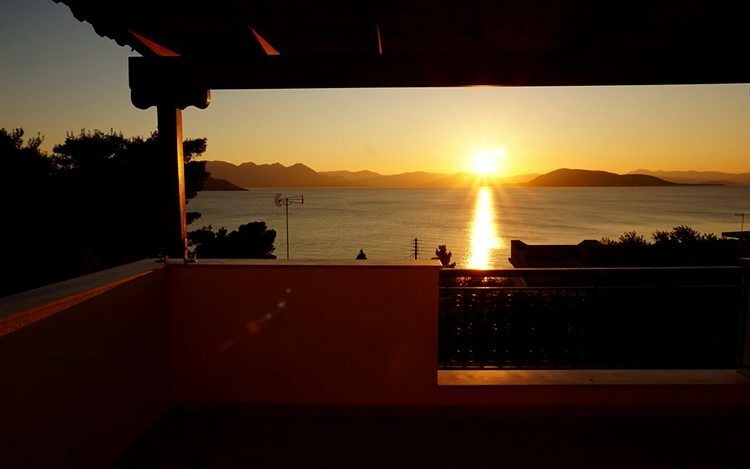 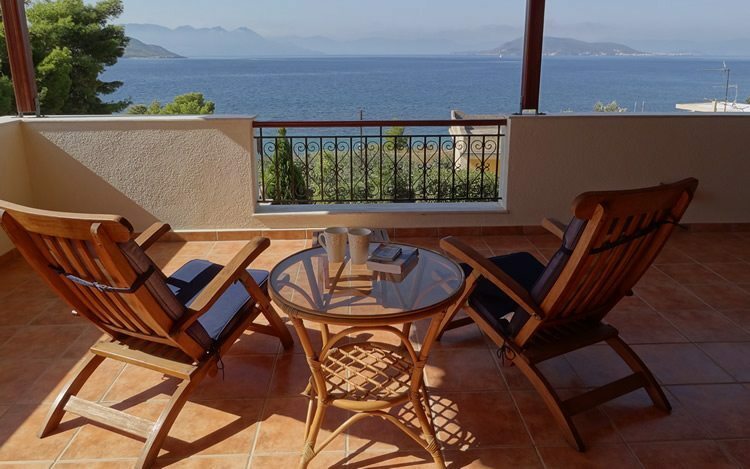 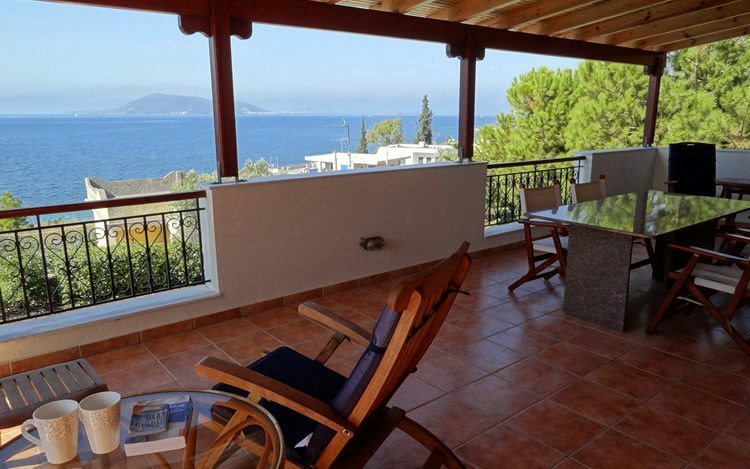 Covered veranda with superb sea and sunset view towards Moni & Agistri island and the Peleponnese. 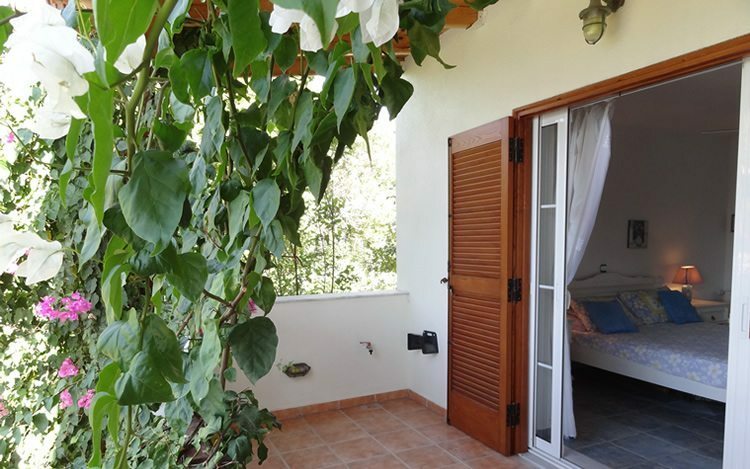 The lounge and master bedroom have direct access to the veranda. 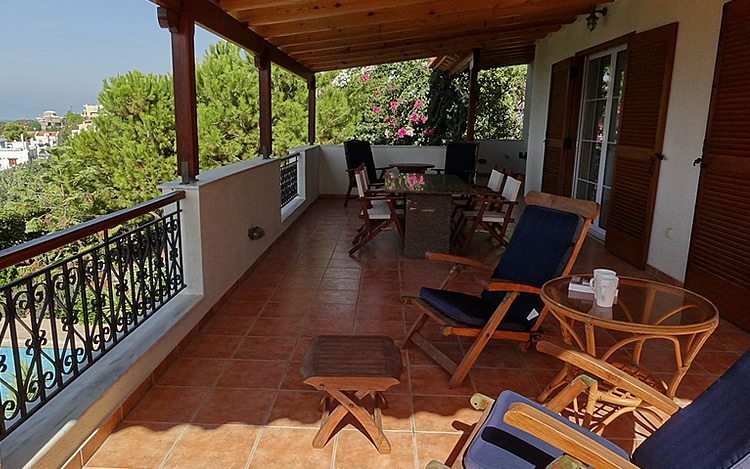 Stairs are connecting the veranda with the swimming pool and garden.